Motorola Moto X4 Android One Price, Review, Deals, Cost, & Sales! Home / Compare Cell Phones / Motorola Moto X4 Android One Price, Review, Deals, Cost, & Sales! The Moto X4 is often called as the affordable Nexus phone. It runs on Android One OS and designed for Google's Project Fi wireless network. The Motox X4 comes with a 5.2" FHD LTPS IPS display with a Corning Gorilla Glass enclosure. In comparison, the Moto E4 Plus has a 5.5" HD IPS and protected by Corning Gorilla Glass 2. This device features a dual rear camera system. A 12MP main camera and an 8MP ultra wide angle secondary camera. It also has an astounding 16MP front camera equipped with selfie flash. For the onboard drive, it comes with a 32 GB internal space with support for up to 2TB via microSD. While the Moto E4 Plus has the 16/32GB variants and supports up to 128GB expansion via microSD. This device comes with a single front-firing speaker. The earpiece doubles as the phone's loudspeaker and audio quality is good and loud. 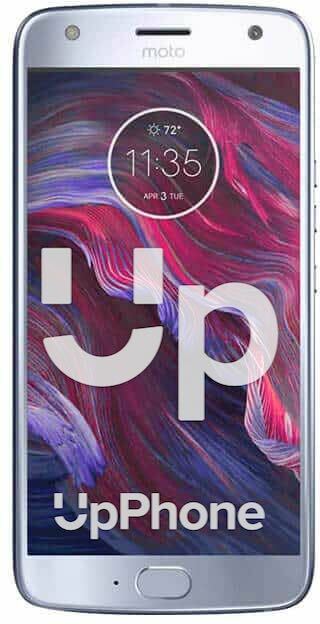 The Moto X4 has a front-mounted fingerprint reader which is also its home button. It reads fast and is often accurate. This phone runs on Qualcomm Snapdragon 630 with 2.2 GHz Octa-core CPU and 650 MHz Adreno 508 GPU. The chip is not high end nor the fastest but can handle most heavy apps. While the Moto E4 Plus has the Qualcomm MSM8920 Snapdragon 427 Quad-core clocked at 1.4 GHz. Powering the is a huge 3000mAh battery and can last an entire day's use. It also has 15W TurboPower charging giving the users 6 hours of power on a 15 minute charge. This device has an IP68 rating making it dust proof and waterresistant for depths of up to one and a half meters for 30 minutes. The Moto X4 runs on Android One OS - known for its simplicity and stock Android experience. This device comes with a wide angle lens. It has a Moto Key feature where you can use the phone's fingerprint reader to login to your windows PC. The X4 retains the Moto Gesture that turns on the flashlight with a double chop. This phone is waterproof and dust resistant. The Moto X4 comes with Google Assistant and Amazon Alexa.